Feline distemper (feline panleukopenia virus, or FPV) is a severe, highly contagious viral disease of cats. It occurs most frequently in kittens, where the mortality rate is high. 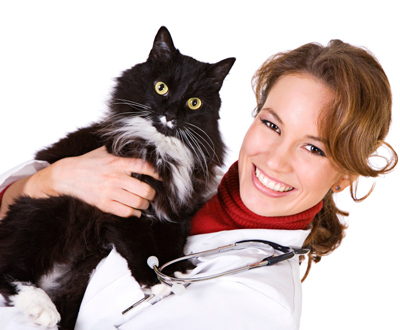 Protection from vaccines is very effective; therefore, the disease is not commonly seen in domesticated cats. FPV can infect all members of the feline group as well as raccoons, mink, and coatimundi. This species of parvovirus is not the same one that infects dogs. Dogs cannot infect cats, and cats cannot infect dogs. Symptoms of the disease develop two to five days after exposure to the virus. Clinical features include severe vomiting and diarrhea (diarrhea may be watery, mucoid, or bloody), depression, high fever, and dehydration. 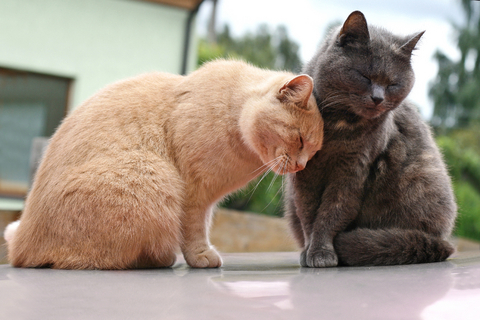 Often cats develop a secondary respiratory infection due to a lowering of the immune system. The virus is shed in all body excretions (especially feces) up to two weeks after the disease is encountered. The virus is very resistant and can survive in the environment for more than a year. A pregnant queen that contracts the disease may abort her litter or give birth to dead kittens. Kittens infected at the end of pregnancy, or during the first two weeks after birth, may end up with a brain defect. Vaccination is highly effective for prevention of feline panleukopenia. All kittens should be vaccinated and adult cats should be given regular booster vaccines. The vaccination series begins at six to nine weeks of age and vaccinations are repeated every two to four weeks until the kitten is 12-14 weeks old. An adult cat should receive regular booster vaccine.